Herbal remedies for high blood pressure, also called hypertension, have been found to be highly effective. There is a long history of their successful use which is now supported by scientific research (see citations below). If you have a family history of hypertension or are considered pre-hypertensive, natural remedies along with lifestyle choices can help prevent your blood pressure from becoming elevated. Pre-hypertension is a systolic reading between 120 and 139 mmHg and a diastolic reading of 80 to 89 mmHg. For those diagnosed with chronic hypertension, this common problem is best addressed with herbs prior to taking prescription drugs. 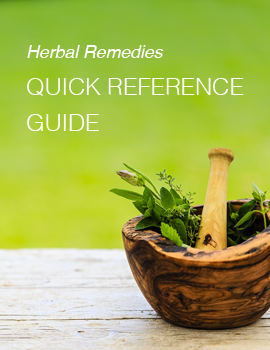 Which herbs you choose depends on the underlying cause of the hypertension. It’s not always easy to tell what is causing hypertension. Causes to be considered include general aging, genetics, stress, fluid retention and lifestyle. There may also be causes due to complications from other problems. Hypertension from any cause can lead to blood vessel damage and structural changes in the heart. It should be addressed right away to restore balance to the cardiovascular system. Note: If you are already taking prescription medication, consult a qualified holistic care practitioner before considering taking any supplements or herbal remedies for high blood pressure. Herbs that dilate the blood vessels, therefore decreasing pressure against the vessel walls should always be included for hypertension. Hawthorn is at the top of the list. It has been a well-known remedy for cardiovascular issues for thousands of years and is safe to use. While the flowers and leaves have medicinal value, the berries have been used most often historically. Hawthorn is used in teas, tinctures and even foods as a preventative heart tonic as well as a restorative. It should be taken regularly over time, at least for four weeks or more. Hawthorn helps clear blockages and opens both peripheral and coronary circulation letting more blood through. It gently normalizes contractions of the heart muscle. Another benefit is the berries ability to reduce high cholesterol levels which tend to harden arteries. Yarrow is another herb that helps to normalize the function of the heart. Similar to hawthorn, it opens peripheral circulation. Garlic is well-known for effectively normalizing both blood pressure and cholesterol levels. It’s always best to take garlic raw, however cooked, pickled and capsules are also options. Stress along with anxiety or tension can cause the whole body to tighten, constricting the peripheral blood vessels. If stress is a primary cause of hypertension, look to herbs that benefit the heart as well as provide calming and relaxing qualities. Linden flower opens up capillary circulation and helps the blood circulate better. The good tasting tea is a lovely relaxant. Lemon balm is another good tasting tea that calms nerves, in particular nervousness of the heart. Motherwort is a relaxing nervine that strengthens and normalizes heart function. Since it is quite bitter, it is best taken as a tincture. Rosemary is indicated for tension along with lack of good peripheral circulation. It can be taken as a tea, tincture or incorporated into food. Heart health is closely related to kidney health. If the kidneys are causing water retention, then blood pressure goes up. Herbs that help the kidneys to pass more water are called diuretics. Marshmallow root is an herbal diuretic ideal for use with elevated blood pressure. Dandelion leaf is another mild diuretic herb. It has the added benefit of being high in potassium which is a kidney tonic. To avoid or reduce chances of elevated blood pressure, be sure to live a healthy lifestyle. This includes exercise 20-30 minutes a day to help dilate the blood vessels. This lets more blood flow through resulting in less pressure on the arterial walls. A healthy diet includes reduced fats which can be deposited in the blood vessels. It also includes low sodium intake. Increase consumption of fresh fruits, vegetables and whole grains. This also helps to decrease excess weight, yet another factor in hypertension. Be aware of any food sensitivities that may result in elevated blood pressure. Tobacco should be completely avoided and alcohol consumption should be kept to a minimum. Thank you so much for generous information on herbs and their effect on the body. Using garlic cooked or pickled helps. If you do eat it raw, you can chew fennel seed or fresh parsley to reduce the garlic breath. To best avoid it, use capsules. I have been enjoying the mini series but fear I may lose information if my phone should crash or get lost. Is there a way to print some of the recipes and herbs listed. Thanks also I have been unsuccessful in finding fresh horseradish root. Got some powder Tell I can find it but not sure how much to mix in the fire cider. Also found capsules of the ashwagandha and astragalus. How much would I use until I get my order from Starwest botanicals? I’m glad you’re enjoying the posts. If you would like to print any of them, simply click “File” and then “Print” within your browser. You can also copy the text and save it in a file. You can use 2 tablespoons of horseradish powder to a quart size jar. You will have to strain it more carefully since the powder is so fine. A coffee filter may help and you may have to strain it a few times. For the ashwagandha and astragalus capsules, follow the instructions on the bottle. Thanks so much for advice. I will go make some now. Another question. My dear mother is 92+. Several years back she had a heart attack and the doctor put her on medication. She adventually got quite ill from the medication and quite taking it It’s been a couple of years now. This past year I have seen a big change in her. She has had her ankles swell up and complains about her legs hurting. She will take herbs because her mother was a herblest in Germany. What do you think would be a good tea or something to give her. Today she was happy just to be able to help me paint flower pots. Thanks again. I’m sorry to hear that your mother is experiencing these issues. While I’m not legally able to offer individual medical advice, the article will provide some valuable insights. Since she has a serious condition, I would highly recommend working directly with a qualified holistic practitioner to determine what is going on with her specifically and then choose an appropriate course of action. I’m certain you will find it valuable for her.